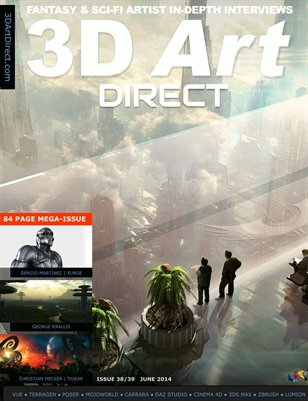 3d Art Direct interviews the Belgian sci-fi cityscape and landscape artist about his visions. 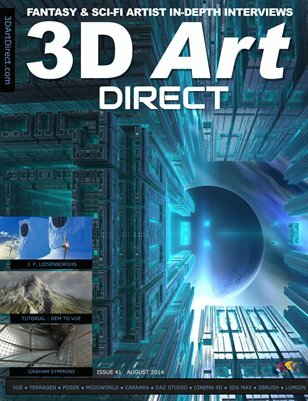 3d Art Direct talks with a Mandelbulb master from London, and delves into the depths of fractal art. Issue 9 is available is now available to read in print and as an on-line edition. There is an early bird price for the printed edition ($2 discount) held for 3 days only until this Sunday 5th of June. ﻿﻿﻿Review of CityEngine software—create detailed procedural urban environments with a few clicks. 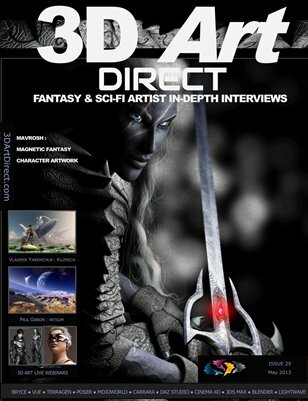 Interview : Luca Oleastri Professional Italian digital artist from Innovari – sci fi illustrator. 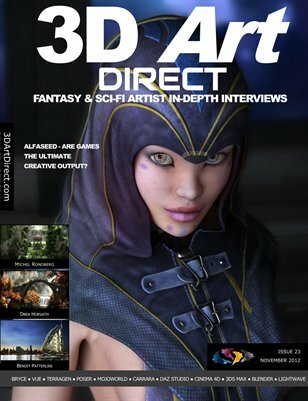 Interview : Tony Meszaros from Realms Art- interview with one of the first and popular Cornucopia3D store vendors for Vue. 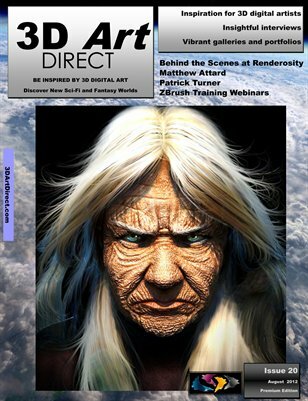 Interview : Arthur Dorety Rich portfolio of digital dragon artwork. Interview: Dave Orchid Extraordinary worlds formed from Mojoworld’s landscape software. Steve Wozniak has bought art from him and he’s been published in the digital arts crème de la crème annuals EXPOSÉ 7 and 8. Who is this international artist that lives in the Arizona desert and publishes exceptional future noir and science fiction imagery? 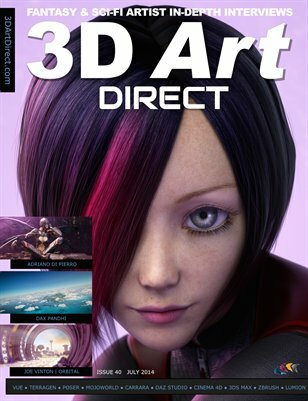 Meet Charles Jacob Dietz in our key interview for this month’s premium edition of the 3D Art Direct magazine, out on the 29th August. 3DAD: What first led you into your interest in being an artist and illustrator? Was it an influence at a young age? JCD: It was definitely at a young age. As a kid I used to drool over the cool role playing games in the window of our local gaming store, so as soon as I was old enough to understand the gameplay I became totally infatuated with them. Aside from actually playing, I loved the drawings like those from the old Star Frontiers game and many others, so before too long I was drawing my own characters, environments and vehicles, all the while trying to emulate the classic style of the great artists who’s work embellished the game modules. 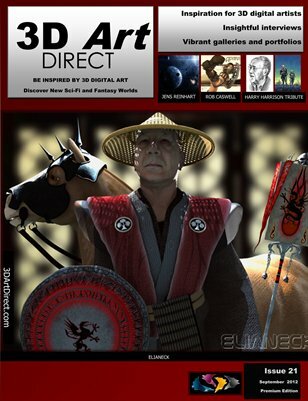 This 120 page book will walk you through creating photo realistic 3D scenes using Vue or the included Vue Pioneer SE software. 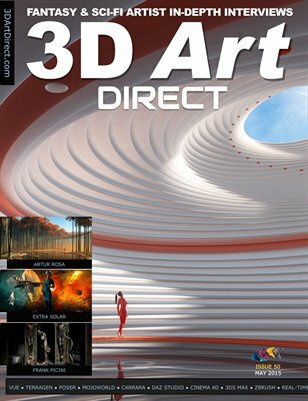 You’ll get up to speed fast, creating landscapes and vistas in the beginning chapters, and then in later chapters you’ll learn more advanced techniques, such as modeling in Vue and interior lighting setups. You won’t want to miss the Scene Setup Magic chapters which contain the KEYS to creating successful and virtual photo renders, all explained clearly and in detail by Vue’s own comic characters. 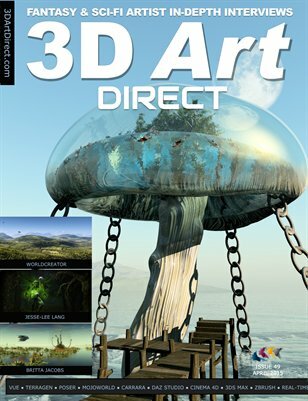 It has over 500 renders and illustrations printed on glossy paper with a rigid paper cover. Submit a rendered image to us based on the theme “Superhero” by the 22nd of August 2010. Render the image to at least 1024 x 768 pixels.